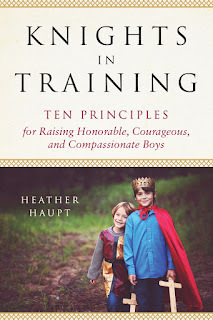 Listen to Heather Haupt discuss her latest book, KNIGHTS IN TRAINING: Ten Principles for Raising Honorable, Courageous, and Compassionate Boys, with host Janeane Bernstein. In recent years there has been an increasing focus in popular culture on the rising numbers of boys seeming to be at loose ends in their early adulthood - with fewer attending college, pursuing work away from home, or starting families of their own. And while there are several factors contributing to this “crisis of men,” many nod to a culture that does not support the ideals that encourage boys to flourish and grow into motivated, courageous and kind adults. Recognizing this negative effect that our culture has on boys, popular educator Heather Haupt sought a way to encourage her own three sons to develop strong character. 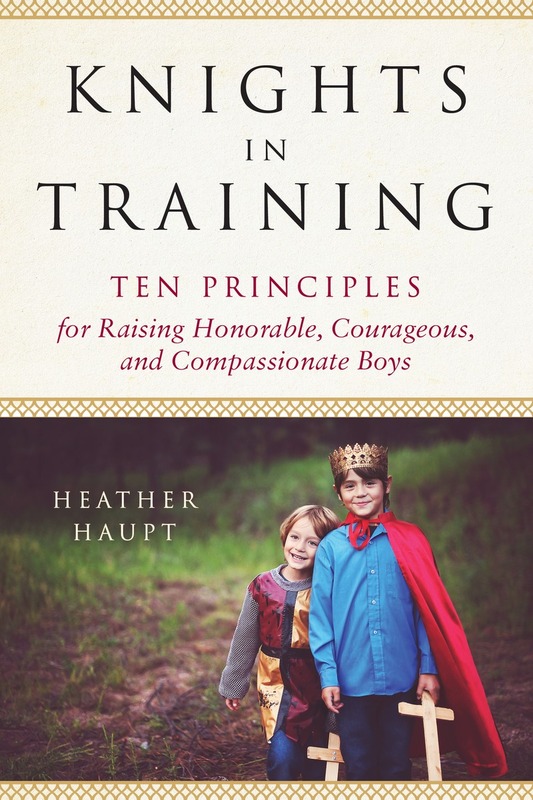 Now, in KNIGHTS IN TRAINING: Ten Principles for Raising Honorable, Courageous, and Compassionate Boys, she shares how to instill essential values in boys by captivating their imaginations and appealing to their love of adventure. Based on the Knights’ Code of Chivalry as depicted in the French epic Song of Roland, she offers ten character-building codes that teach boys the importance of respecting women, pursuing excellence, and standing against injustice. · Learning the art of disagreeing. KNIGHTS IN TRAINING is an invaluable source for parents searching for a countercultural way to ensure that their sons grow up independent, self-sufficient, and fulfilled. Heather Haupt is the mother of three knights in training and a spunky little princess. She wants to raise children who will make a difference in this world. As an educator, writer, and popular conference speaker, she inspires parents to pursue a loving and holistic approach to education and parenting. She has taught in a variety of settings ranging from preschool nature classes all the way up to college biology labs and now homeschools her four children. She lives in the Dallas area with her family and writes at www.heatherhaupt.com.